Polo Party week is here. And here are a few tips for the best way to enjoy the Bentley Scottsdale Polo Championships: Presented by Stella Artois on Saturday and Sunday. LOOK UP! For the Red Bull Skydivers Saturday afternoon. LOOK UP, AGAIN! For the only second story element at the event, the Talking Stick Resort & Casino Skybox. It’s located mid-field and all ticket categories are welcome. DON’T SKIP OUT ON CHURCH. Church Alive will be conducting a service on site Sunday at 11am. SCOTTSDALE MASERATI SUNDAY BRUNCH. Come back after Saturday or save it up for the ultimate Sunday Fun Day. VALET: If you’re not carpooling or using Lyft we’ll have Valet available at the entrance to the event. 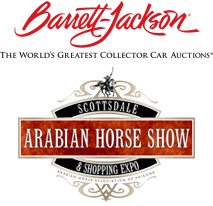 CAR STARS: There will be a lot of automotive horsepower all over the place, led by Barrett-Jackson. And if you’re interested in consigning a car this year or registering to bid look for someone on site or go to www.barrett-jackson.com. ALL THAT JAZZ: If you’re not in the Barrett-Jackson Champagne & Jazz Lounge most of the day take in the Mark/Taylor Residential Luxury Living Room beginning at 4p with some great jazz led by Doc Jones. HOOKAH LOUNGE: For the first time at the Polo Party enjoy and relax at the Axis Hookah Lounge located between tailgating and the Bottled Blonde Polo Lounge. BE GENEROUS: Look out for Alex’s Lemonade Stands, a noble effort by Northwestern Mutual, to raise money for children’s cancer causes. LOOK GOOD. LOOK TAN. Get your skin flawlessly glowing at The Agave Spa at The Westin Kierland Resort & Spa before polo and then join us at our booth day of for “glitzing” with Goddess Glitz, the perfect accessory to compliment your chic polo fashion. ONE BAD MAN: The world’s greatest arm wrestler Travis Bagent will be hosting and participating in a number of arm wrestling events throughout the site. SHOP! This year’s event will have more vendors than ever, including Evans Furs and Leathers who have helped thousands of customers choose new fur garments, restyle old ones, and care for the ones they have. LEARN TO PLAY! With any ticket purchase for Sunday you can join the Arizona Polo Club’s clinic and introduction to polo that morning, beginning at 9:30am on the polo field. For more information contact the club at info@azpoloclub.com. THE BEACH, FRIED CHICKEN AND CHAMPAGNE: We’ve changed up the west end of the polo field this year with Sandbar, a field-side sand filled tent with Gyna, a hot new DJ duo and next to it, Fried & Fizzy, a pop-up restaurant featuring friend chicken and champagne. NOT ENOUGH? Keep your eyes and ears open for the Phoenix Opera, Southwest Shakespeare Company, hip hop artist Ali Tomineek (as seen on BET) and experience the greatest party tent in world polo, The Bottled Blonde Polo Lounge. SWANKY: All ticket purchasers in the Molina Fine Jewelers VIP Tent, PRIME: A Luxury Tent Experience by Steak 44, Neiman Marcus and Barrett-Jackson, table purchasers and sponsor are invited to join the VIP Players Party Friday, November 10th from 6pm-8pm at the beautiful Molina store at 32nd and Camelback. Please RSVP to info@ThePoloParty.com. Six matches. Two days. Great weather on tap. It doesn’t get any better. 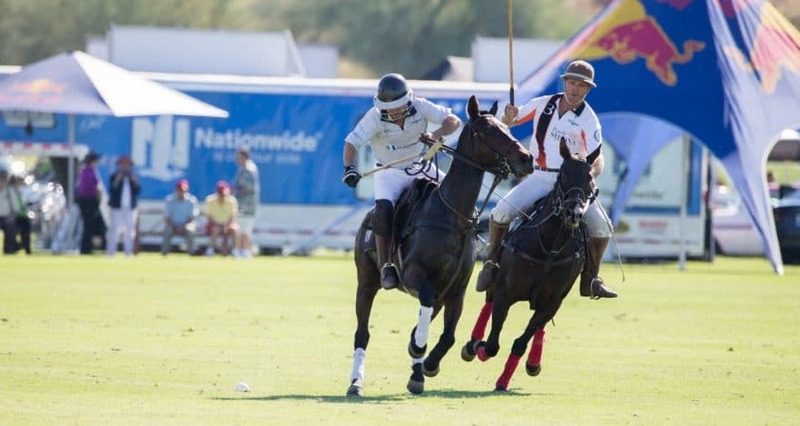 See you November 11th and 12th at WestWorld of Scottsdale for the 7th Annual Bentley Scottsdale Polo Championships. **For all ticketing, tent and table information go to ThePoloParty.com.